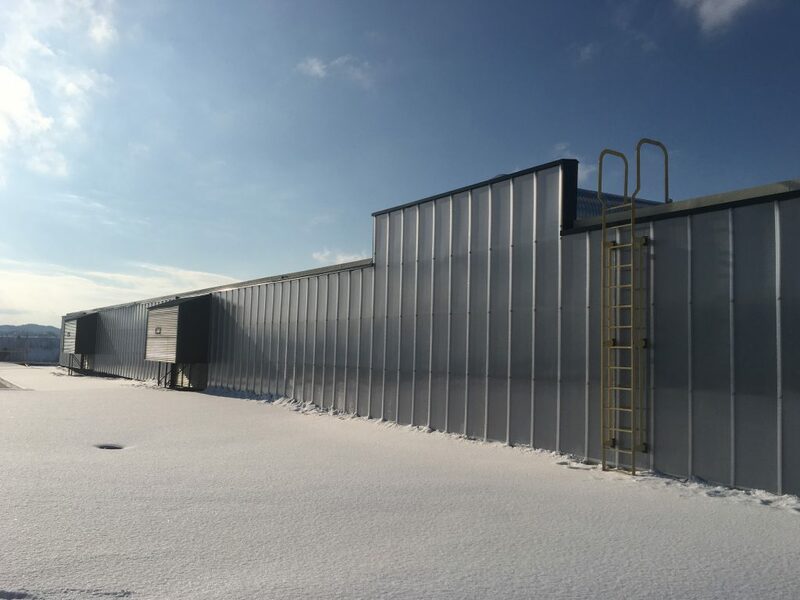 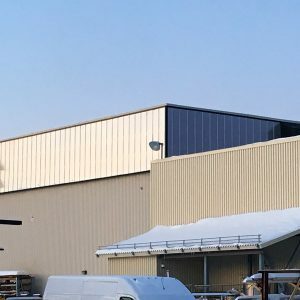 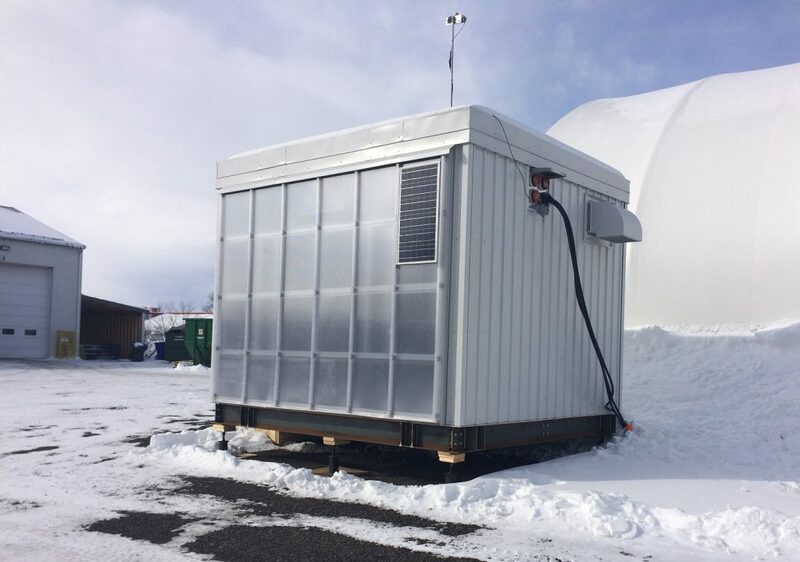 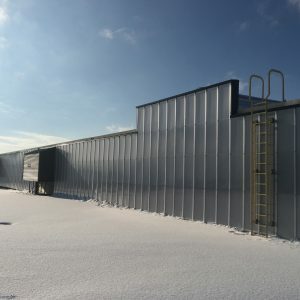 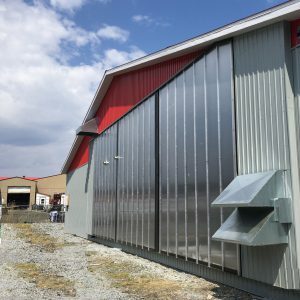 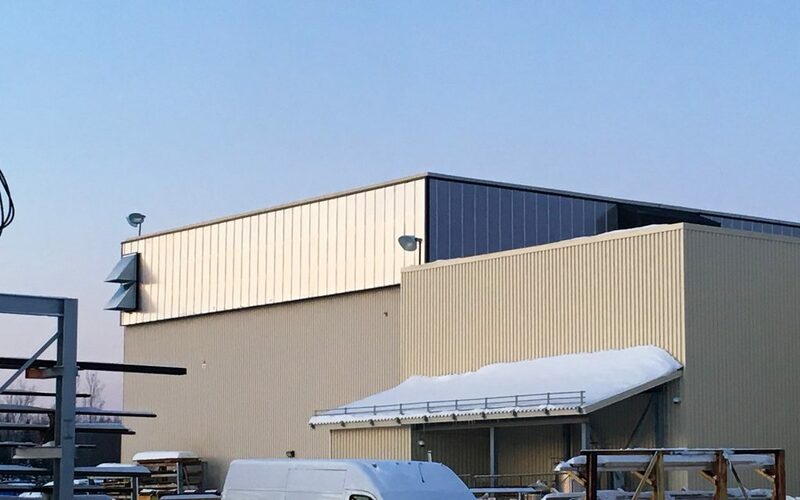 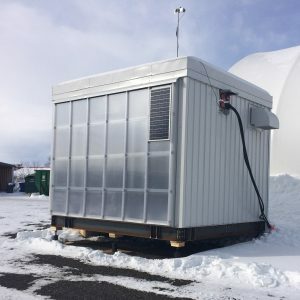 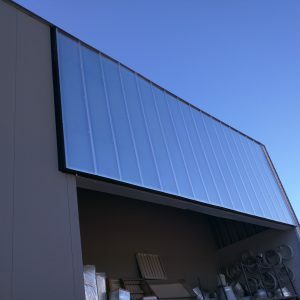 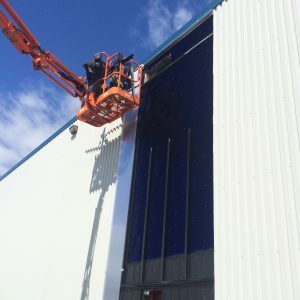 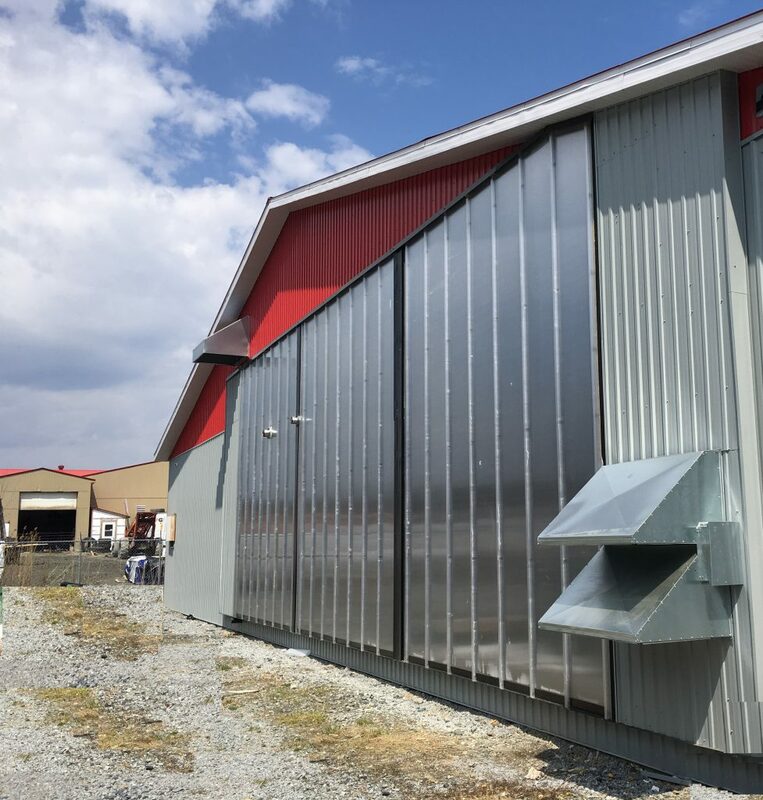 During production hours in winter, the Acero HX can preheat incoming air by recovering heat from the outgoing exhaust air and by taking advantage of incident solar radiation. 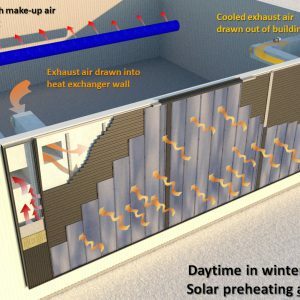 During winter at night, there is no solar gain, but it keeps preheating fresh air by recovering heat from the outgoing exhaust air stream. 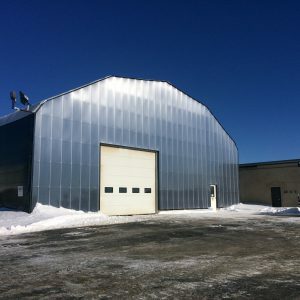 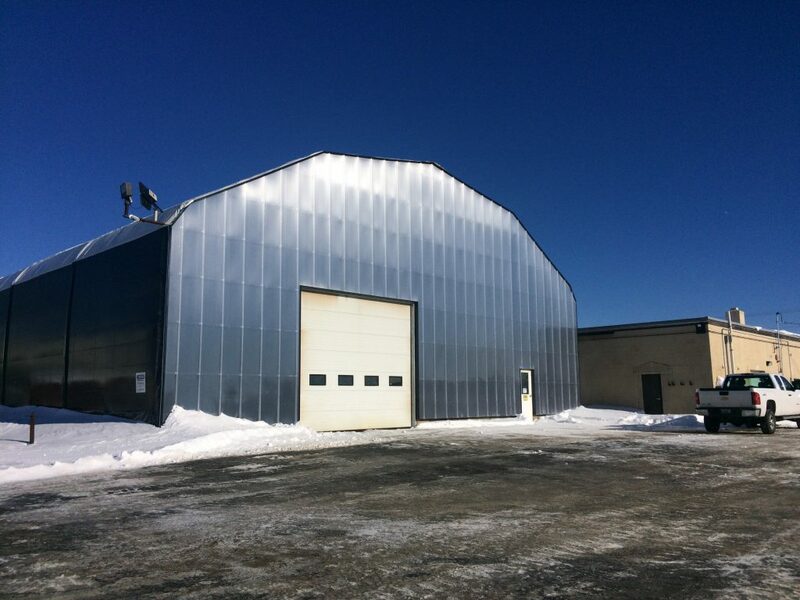 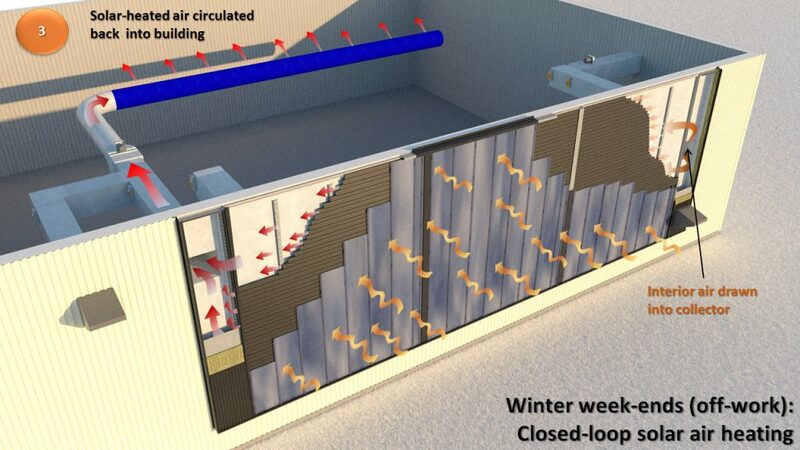 During winter on week-ends, the system becomes a closed-loop solar air collector and can heat the Inside space. 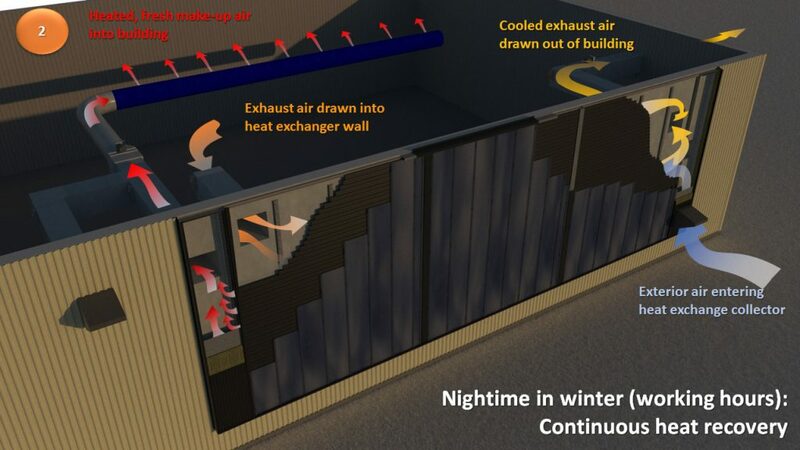 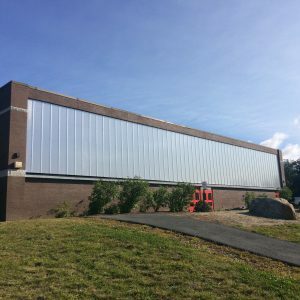 During daytime in summer, the wall is bypassed but is used as a ventilation system to achieve air changes within the building. 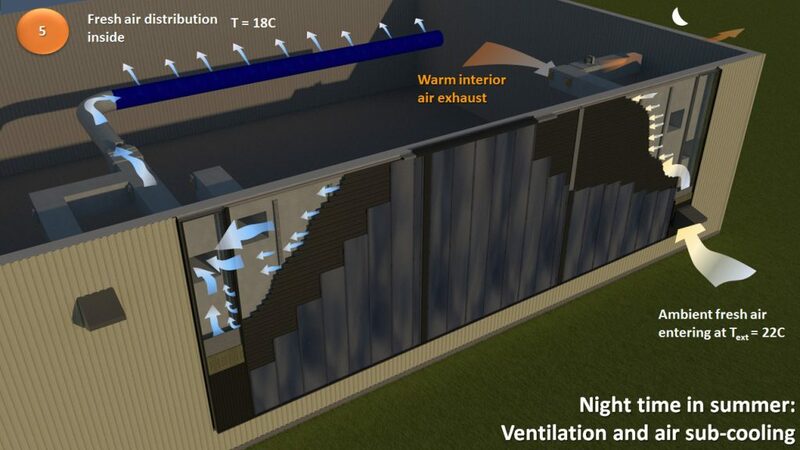 During nightime in summer, the solar absorber can assist air conditioning by sub-cooling the incoming fresh air by 3 to 4 degrees C below ambient, thanks to the phenomenon called nightime sky radiation. 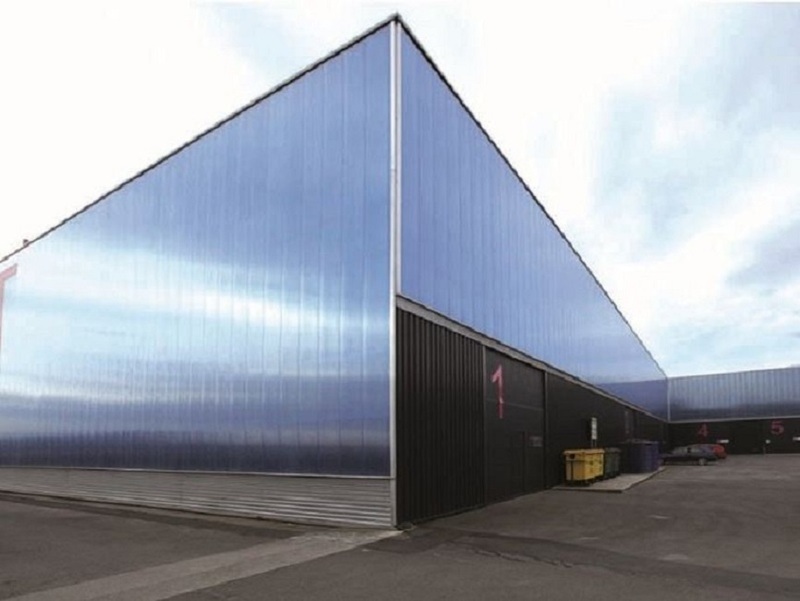 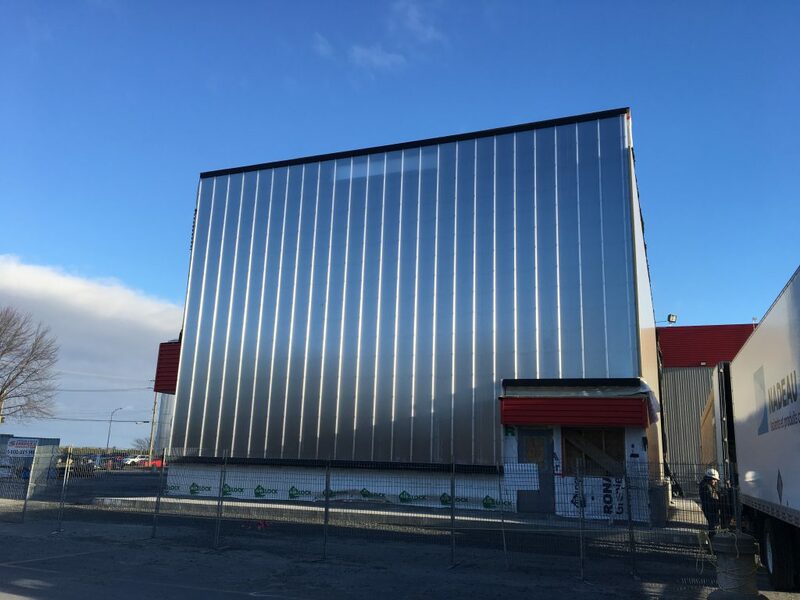 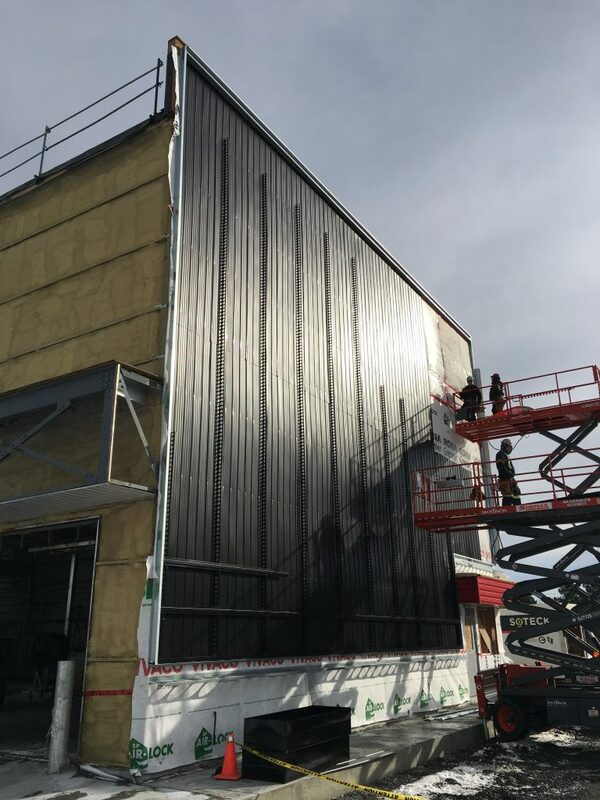 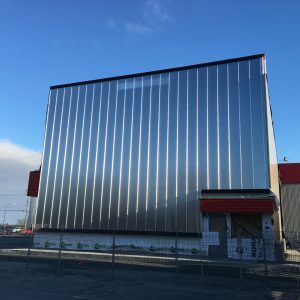 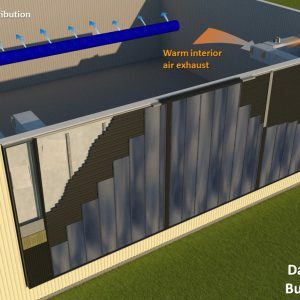 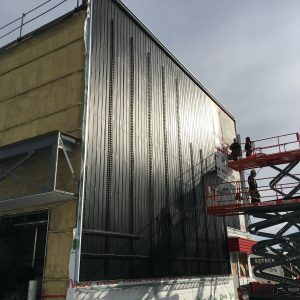 The Acero Wall from Trigo Énergies can preheat exterior air and heat the building’s inside space by working in closed-loop operation. 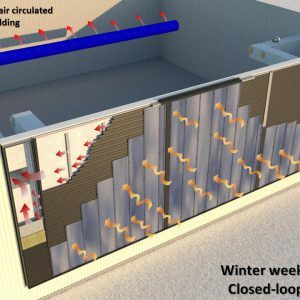 Both operation modes can work simultaneously or alternatively, as requested. 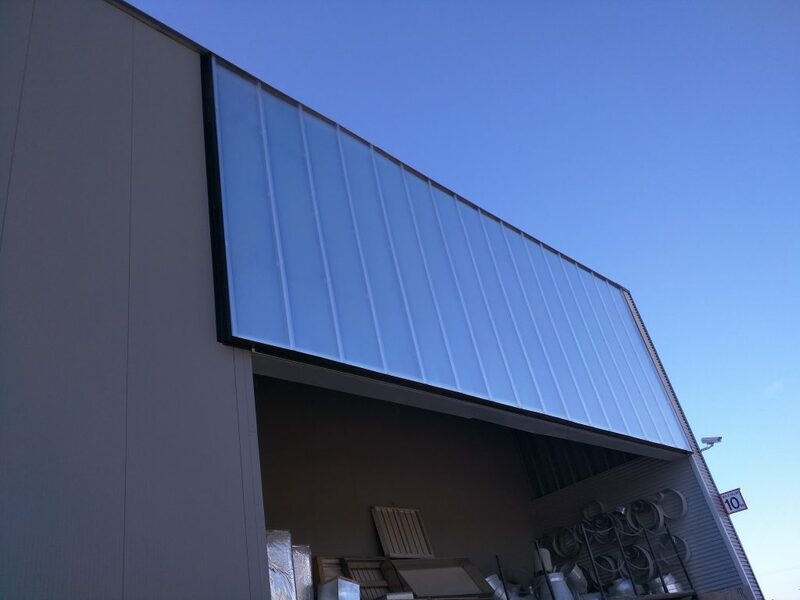 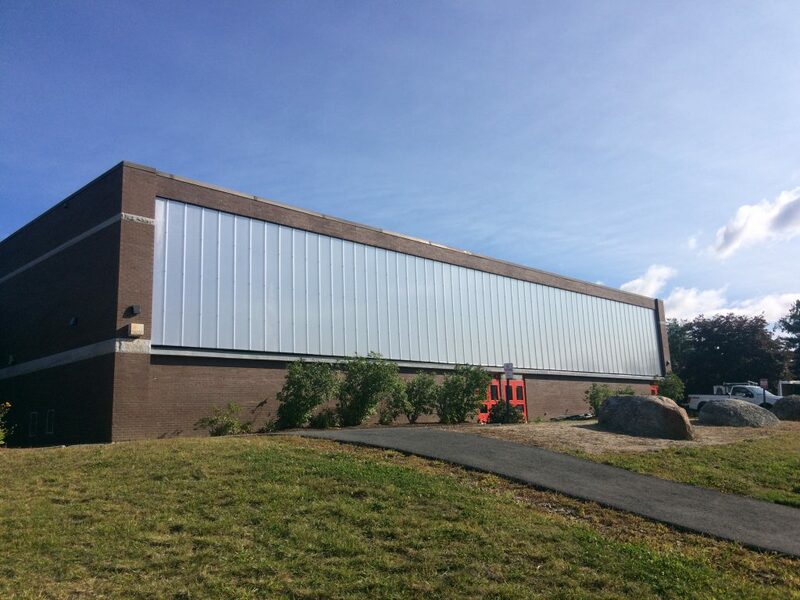 The wall can be covered with tempered glass (std) or multi-wall polycarbonate (option). 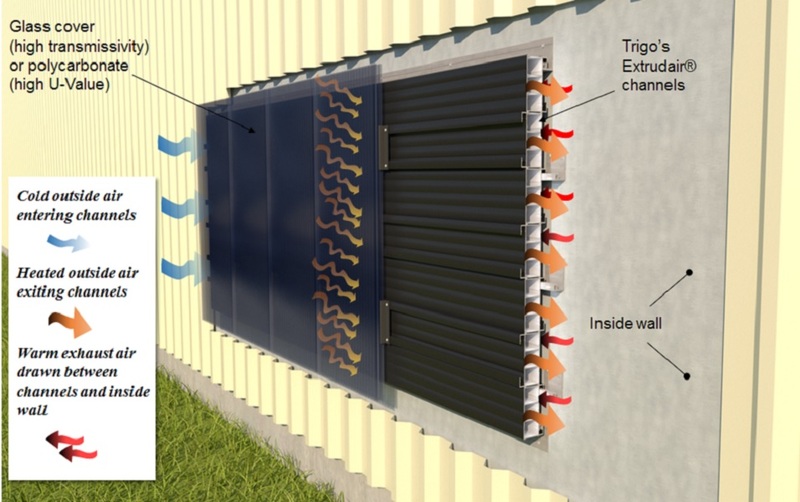 The heat absorber comes with a selective surface as standard, or with optional black paint. 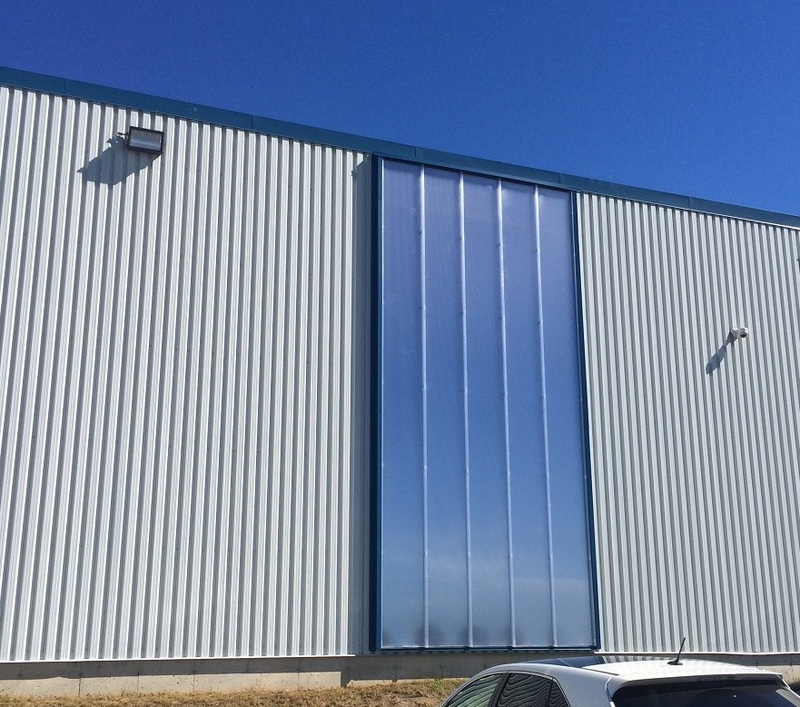 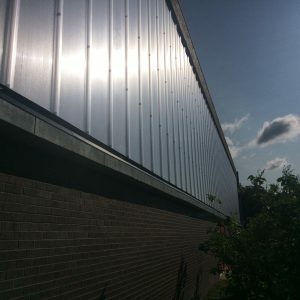 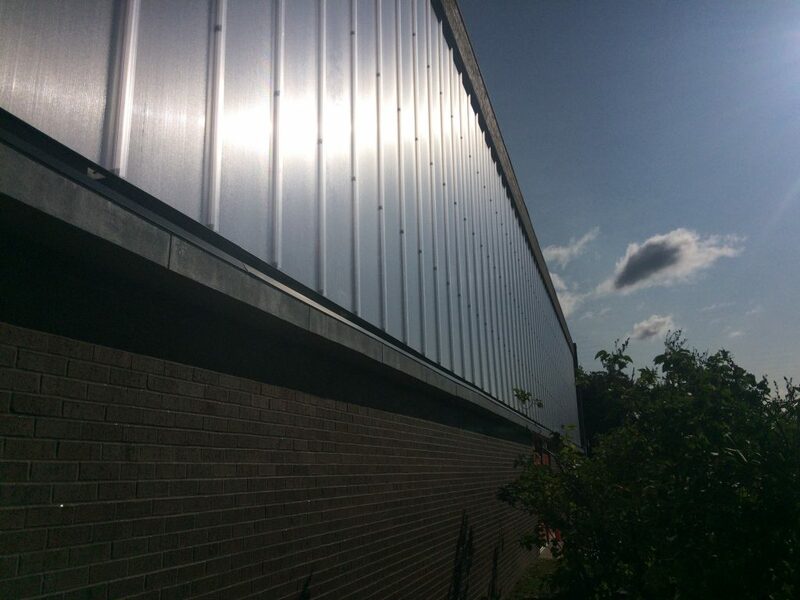 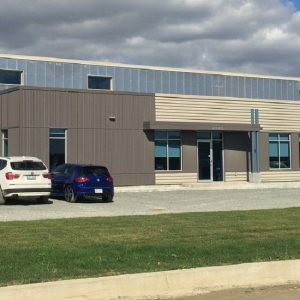 In all cases, it can be architecturally harmonized to the building with anodized or painted aluminium profiles. 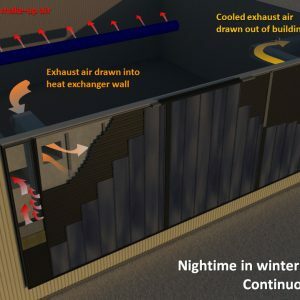 Plenum: from 25 to 300 mm (60 mm typ. 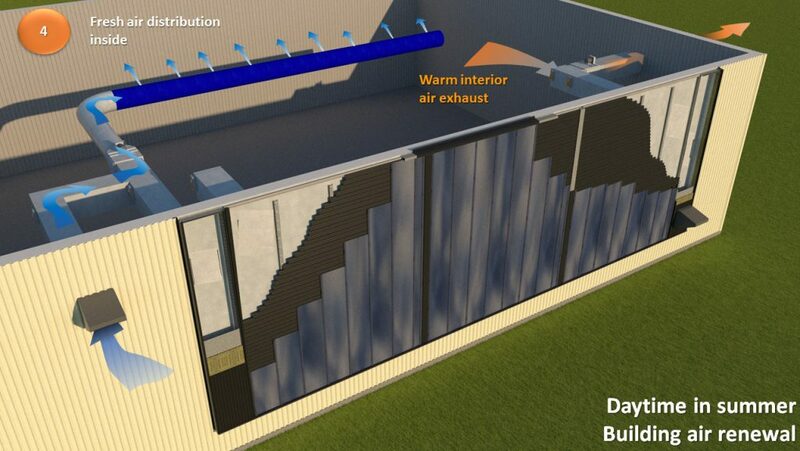 ); Surface air flow: from 50 to 500 m3/h/m2 (Re>3000); Pressure drop: 175 Pa (typ. 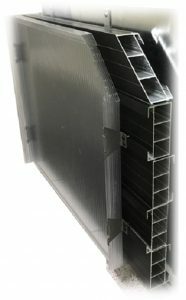 ); stainless steel supports: anchors @ 60 cm c/c; Omega bars: 18 ga. Steel, 3.3 m long each. 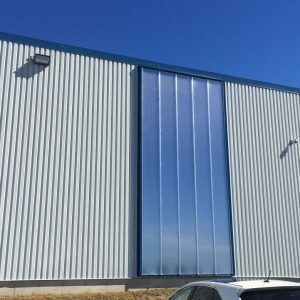 ; Spacers and baffles: hole-punched or micro-perforated bars, tailormade. 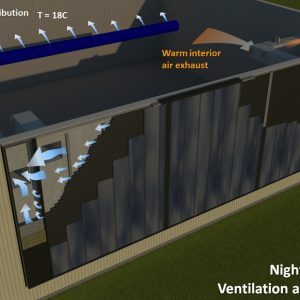 During nightime in summer, the solar absorber can assist air conditioning by sub-cooling the incoming fresh air by 3 to 4 degrees C below ambient, by a phenomenon called nightime sky radiation. 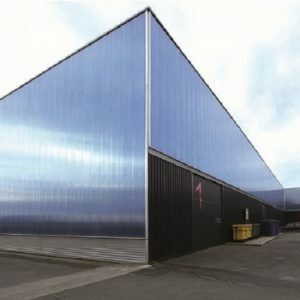 For efficient and sustainable buildings.